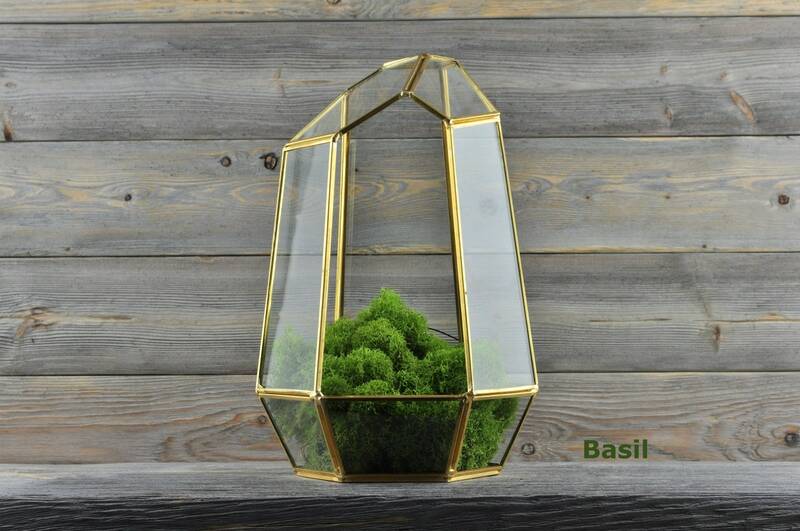 Beautiful Glass Terrariums, with optional Reindeer Moss! 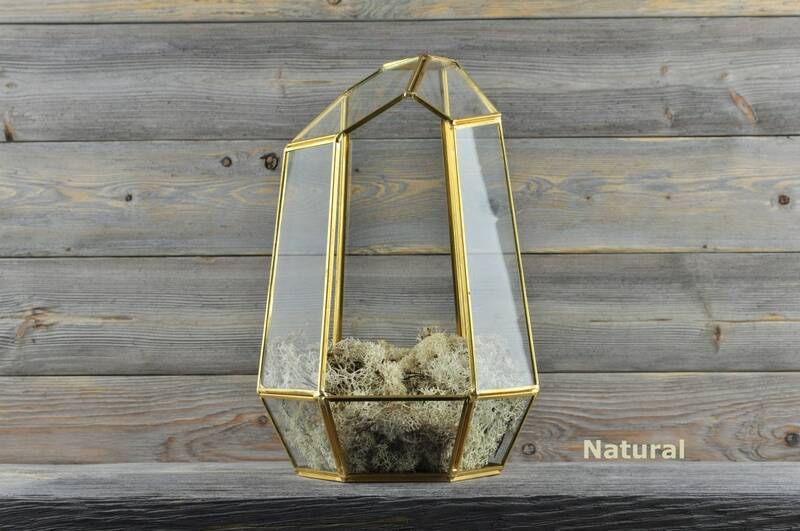 Mountain Shaped, Gold Geometric Glass Terrarium, with optional super high quality SuperMoss Preserved Reindeer Moss, in 7 color options! 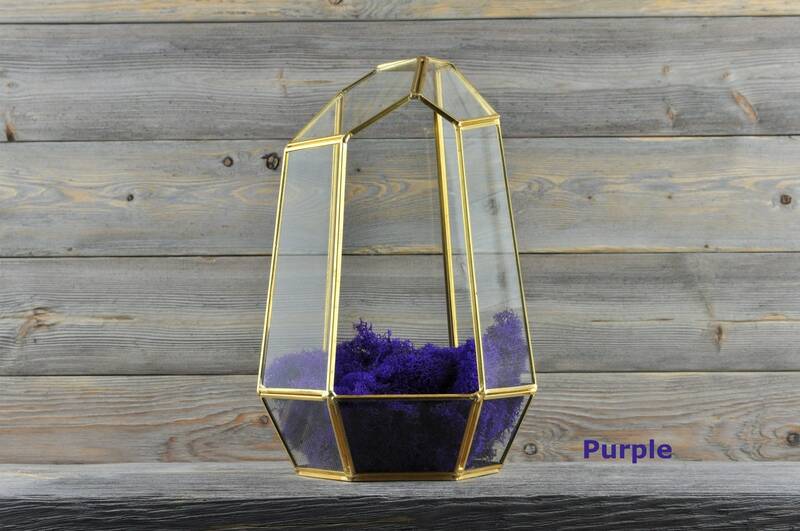 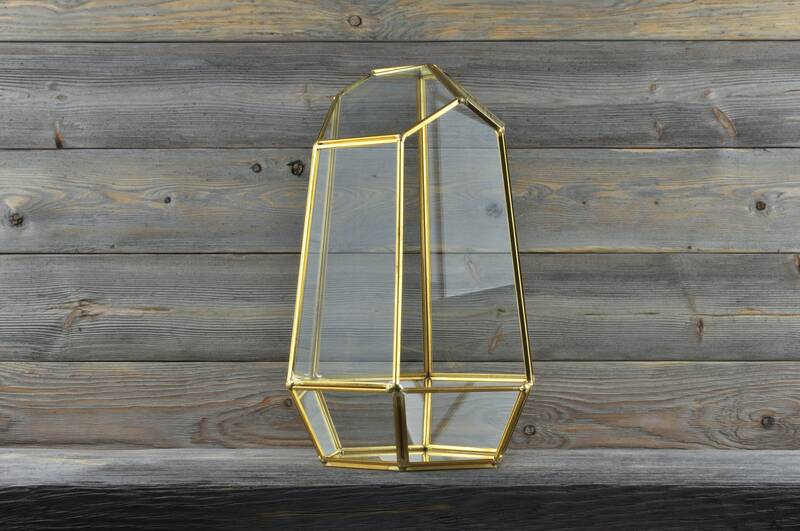 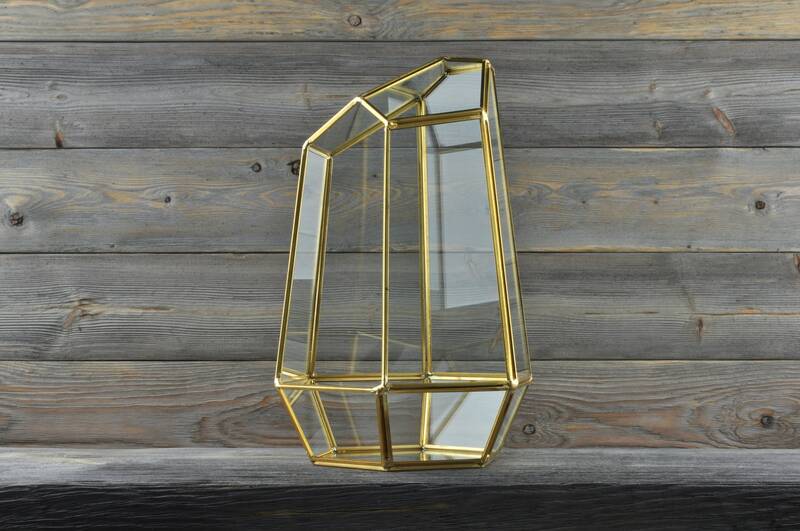 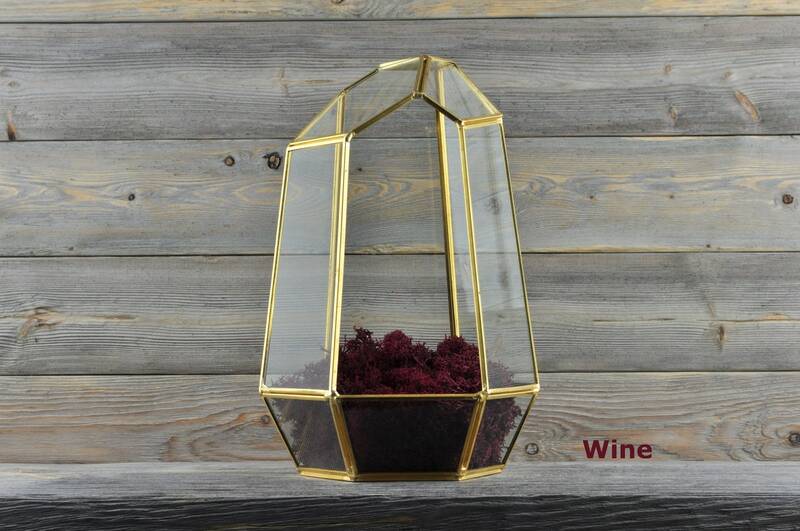 This is the perfect decor piece for indoors or outdoors and can be used with your favorite Crystals or Gemstones, or its the ideal size for fern, moss, succulent, airplants, cacti or other plants with easy maintainence. 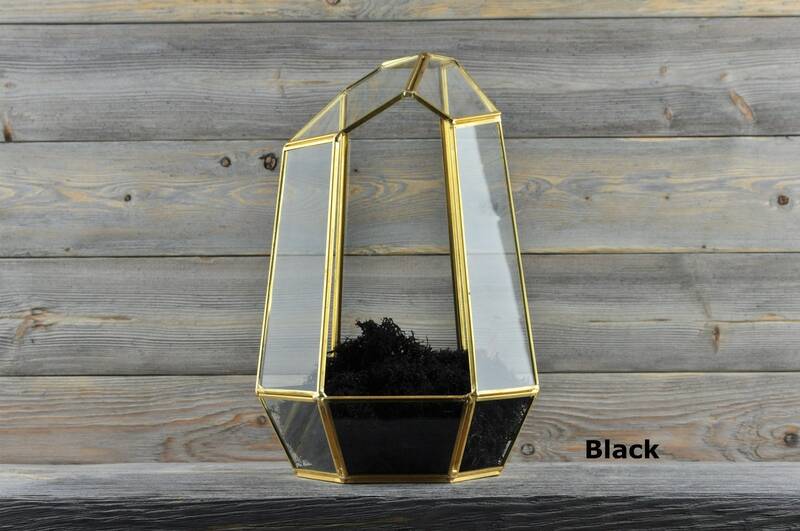 Perfect for adding a touch of eye-catching style to your small potted plants or for showing off a favorite crystal keepsake in a new and stylish way. 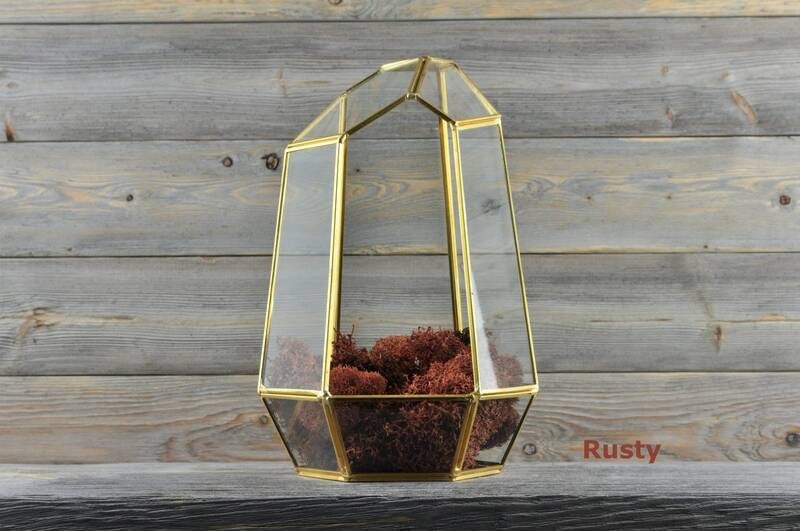 Made of ultra clear sodium calcium glass and featuring a sturdy copper frame. *Please note, this terrarium is not meant to hold large quantities of water, which is why it is designed for low moisture plants or dry decorations.